Molly Fitzpatrick: When my son was born in 2014 I quickly learned that comfy cozy blankets to play on and wrap up in are an essential part of every happy house. 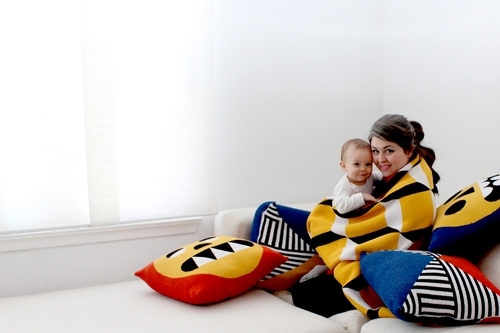 I wanted to surround my baby with designs that are engaging, bold and sophisticated. I am a textile designer with experience in manufacturing, so I decided to partnered with a second generation American textile mill to make my blankets with beautiful recycled cotton yarns. 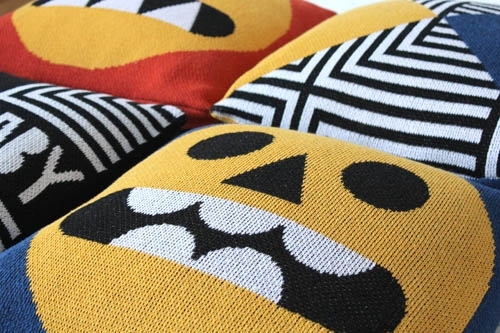 MF: Designing textiles is my passion, I love that textiles are an artform that are accessible and functional. I love that my textiles bring warmth, color and energy to peoples homes. MF: Everyone in Cleveland needs blankets! It is so cold here for so much of the year that it is important to have modern, bold, colorful designs that can be on display and used all the time. MF: Cleveland is the perfect size- it is big enough to have fabulous institutions like the Cleveland Museum of Art, wonderful public art and beautiful green spaces, but small enough that it is easy to connect with other entrepreneurs and to support a family. MF: Being able to manage my time in an unconventional way. MF: To grow my textile design licensing side of my business. MF: When national blogs and magazines featured my products and highlighted my business. MF: I am endlessly inspired by the pioneers of the Optical Art movement, Clevelanders, Ed Mieczkowski and Julian Stanczak. MF: People want to see you succeed.